I thought it would be a good idea to spend the first five days of August recounting Japanese atrocities during (and preceding) World War II. 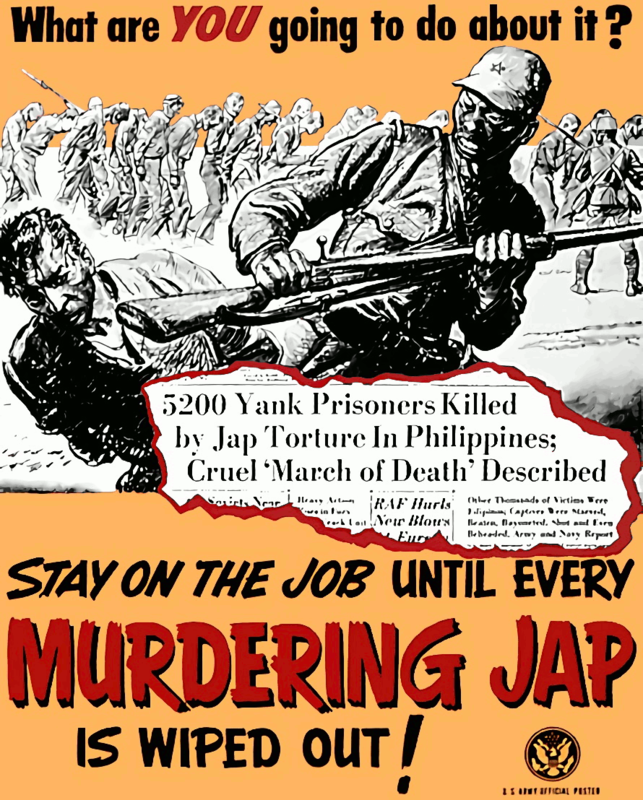 The Japanese have been our allies throughout my lifetime, and ordinarily I wouldn’t make a point of mentioning their atrocities, but too many liberals and leftists make such a fuss on Aug. 6 about our dropping an atom bomb on Japan that young people today often don’t even know the context of that decision. To counter this ignorance, I want the first five days of August to be used for reminding them of some of Japan’s atrocities from the WWII era. Happy Bataan Death March Day to you.